The Zourman hi-hat conversion modules for 2box DrumIt Five (formally 42Box) replaces a standard 2box hi-hat (hall effect sensor-based) with your favourite Roland hi-hat. The solution is 100% plug and play (only 2box hi-hat calibration needed). The Zourman Drums solution is the result of extensive research, development and rigorous testing with a range of equipment. 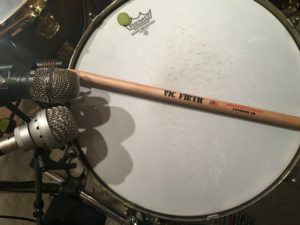 The FD-8/VH-11 model do also work for Roland compatible hi-hats like JOBEKY 13, 14″ REAL FEEL CYMBAL AND HI-HAT CONTROLLER and Go Edrum GH6 eHi-Hat. There also new models added of the Zourman hi-hat conversion modules which includes the Virtual Clutch functionality**. Virtual Clutch is a system where the hi-hat pedal position can be set & fixed in advance between open/closed. A perfect solution for drummers with double kicks who wants alternative their play style. A switch on the front will set the Zourman hi-hat module in virtual clutch mode. Jump to the product page for our hi-hat conversion modules! The Zourman Drums Roland 3 zone ride conversion module replaces a standard 2box ride cymbal with your favourite Roland 3 zone ride. The solution is 100% plug and play (only 2box settings needed to be changed) and handles both outputs (bow/edge & bow/bell) on the CY-13R and CY-15R. Jump to the product page for our ride conversion module! For more info please jump to our Product page for the Zourman Drums Samples. More info Want to buy? Jump to the Zourman Drums Online store here and read about our products or visit our partners in the Electronic Drum Center in US or Jobeky in UK and Drum-Tec in Germany!